The name of our company is Lámha Suas which is a board game similar to Scrabble, but instead of using the English alphabet, our game involves using the Irish sign language alphabet. 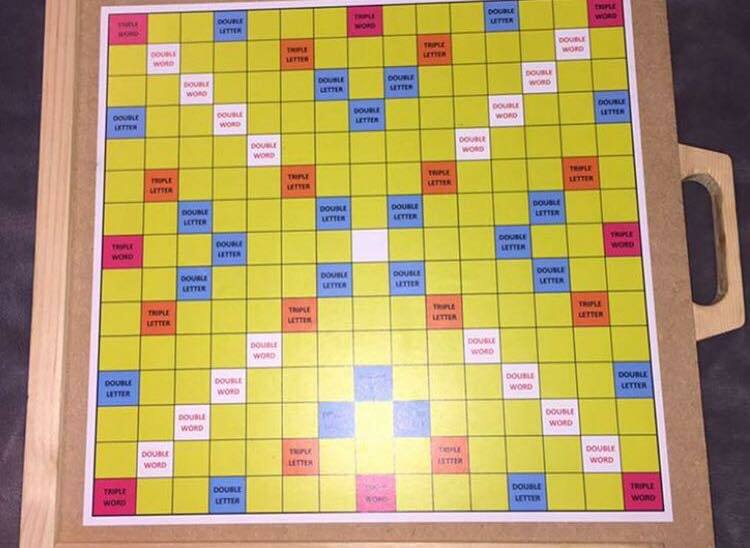 Our aim is to teach people sign language through our interpretation of Scrabble! This product is beneficial to those who use sign language on a daily basis and to those who want to broaden and improve their communication skills. We want to make life as stress-free and easy for the hearing impaired by providing a fun and enjoyable way to practice and learn sign language. Q2. How are you unique? Our product is innovative as there is no sign language board game in Ireland. This idea is unique and perfect for people who are interested in learning sign language and also for those who are trying to improve their sign language skills. Q3. How did you come up with the idea? We got our idea from thinking about some of the problems in society today and we felt that there isn't enough of awareness around Irish Sign Language. Also, there are six girls in our group and two of these girls have family relations who use sign language to communicate. Therefore, we really wanted to make a product that would be beneficial to these people. Q4. Where are you based? We are from Gortnor Abbey Jesus and Mary Secondary school and are based in Crossmolina, Co Mayo. Q5. When was the company launched? We generated our idea back in September and had our company up and running by early October when we first entered the Student Enterprise Awards, we went on to place second in the Mayo regionals in the senior category. Q6. Who are your target market? Our main target market are parents/grandparents/guardians or family members of anyone who is hearing impaired. 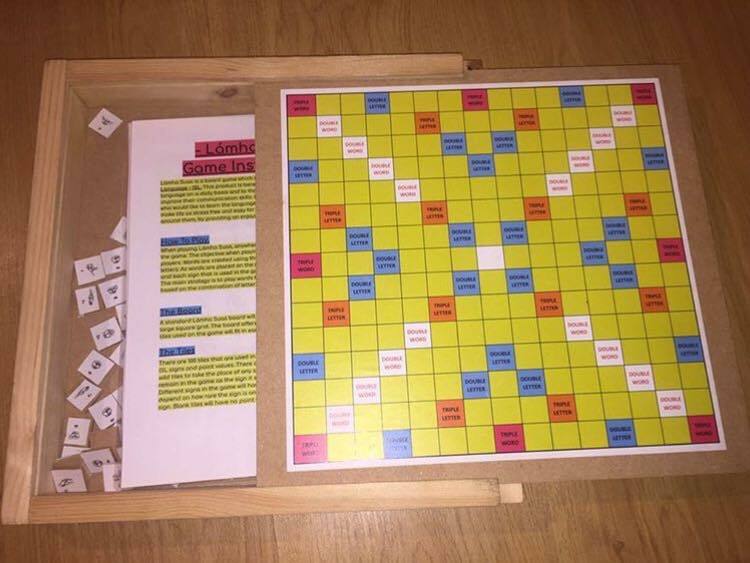 We also wanted to target people that have no connection to the deaf society so that they can learn ISL through our board game in an easy, simple and fun way. Our biggest customers were parents. Some of these parents had family members that were hearing impaired and others were parents who wanted to learn the Irish sign language and teach their children as this is an important and beneficial life skill. We are a team of six transition year students from Jesus and Mary secondary school, Gortnor Abbey. We all share an interest in promoting the use of Irish Sign language. Three out of the six members have relations that are hearing impaired and this inspired us to come up with our product. Q8. What are the long term plans for your company? Our business will continue trading as we believe it is necessary that more people learn the ISL alphabet which is the basis of sign language. Our products are hundred percent hand made and we would like to look into approaching a manufacturer as we have found there is a high demand for our product. We are also looking into expanding our business furthermore, by designing more games suitable for the hearing impaired. Q9. How do people get in contact with you? We are active on many social media platforms. Such as Snapchat @lamhasuas, Instagram @lamhasuas_, Facebook @lamhasuas, and Twitter @lamhasuas18. We also take orders or enquirers on our email lamhasuas18@gmail.com.